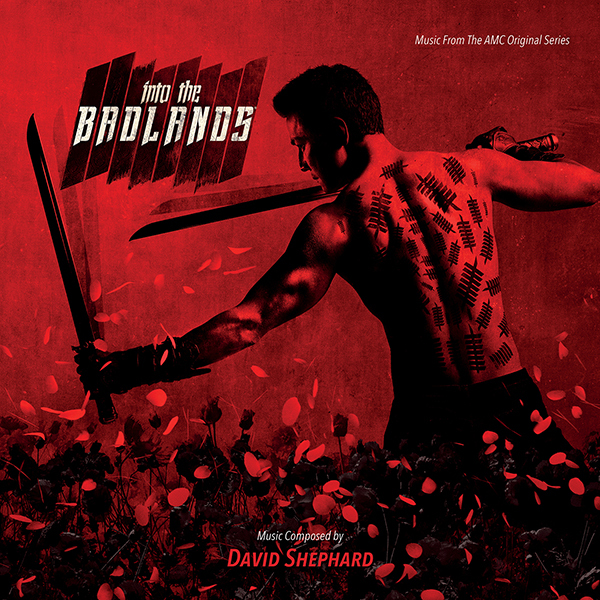 Varèse Sarabande will release AMC’s INTO THE BADLANDS: SEASON 1 – Original Series Soundtrack digitally and on CD April 20, 2018. The album features original music composed by Dave Shephard (LongMire) with main titles by Warrior Blade. Varèse Sarabande will be putting out the second season soundtrack later this year. “How much more inspiration can one ask for than a sweeping, futuristic epic set in a dystopian, feudal world of master sword-wielders and supernatural forces?” asked Shephard. In Season 1, Sunny, the deadliest Clipper in the Badlands, rescues a boy, M.K., from a deadly ambush. As Sunny and M.K. try to uncover the secret behind M.K. 's dark power, a new baron threatens to start a war between the rival lands. The post-apocalyptic, visually stunning martial arts series with incredible cinematography and cinema-worthy fight sequences gave Shephard a good deal of inspiration. “From scene to scene to scene, I discovered richly textured characters, costumes, landscapes and story lines that conjured in me an immense wealth of musical ideas with which to play as I created a sound and musical narrative for the TV-series,” he explained. Composer David Shephard is an American composer working in Film and TV. Most recently, he has composed the score for the Netflix series, LONGMIRE. Additionally, David has composed and orchestrated for more than 50 features and television series. Born in New York, David began studying music at the age of 5. After formative years of study in both the classical and jazz disciplines, David sought out his first professional opportunities to compose music. At a young age, his musical abilities earned him the coveted post of piano accompanist for both the Alvin Ailey American Dance Center and the Martha Graham School of Contemporary Dance. Always feeling the pull to pursue his first ambition as a Film and Television composer, David moved across America to Los Angeles and continued writing music for visual stories. Initially, he worked in the studios of some of the top composers in Hollywood and learned from these masters as he developed his craft. Since that time he has been fortunate to work on his own projects with some of the finest storytellers of our time. David's continuing ambition is to partner with unique writers and directors in creating entertainment that thrills and compels audiences. He did an excellent job with that series. And I bet he had fun doing it!